Incredible rhythm and sound, beautiful beaches, vintage cars and a rich history just a few hours from the US…sounds tempting, right? Cuba is an absolute must see destination. It should definitely be on your bucket list. 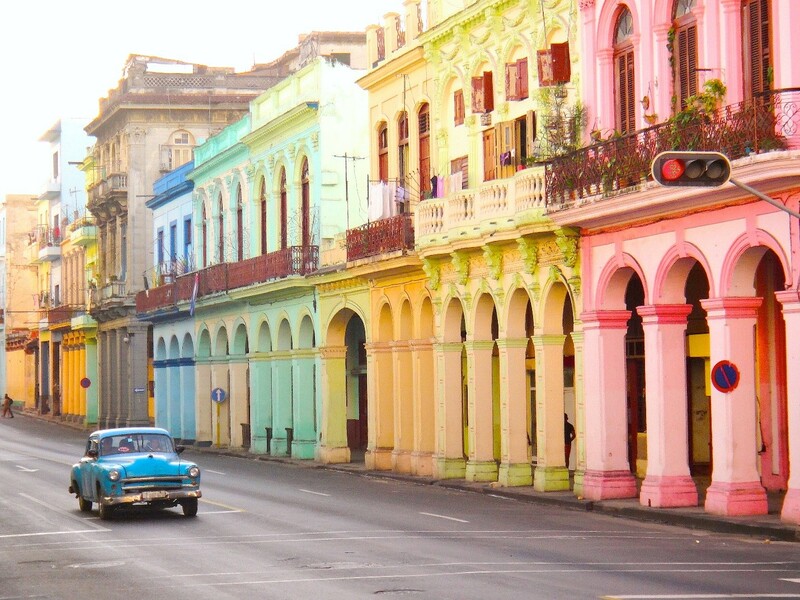 Our tour to Cuba is about immersing yourself in the people, art and culture of Cuba. 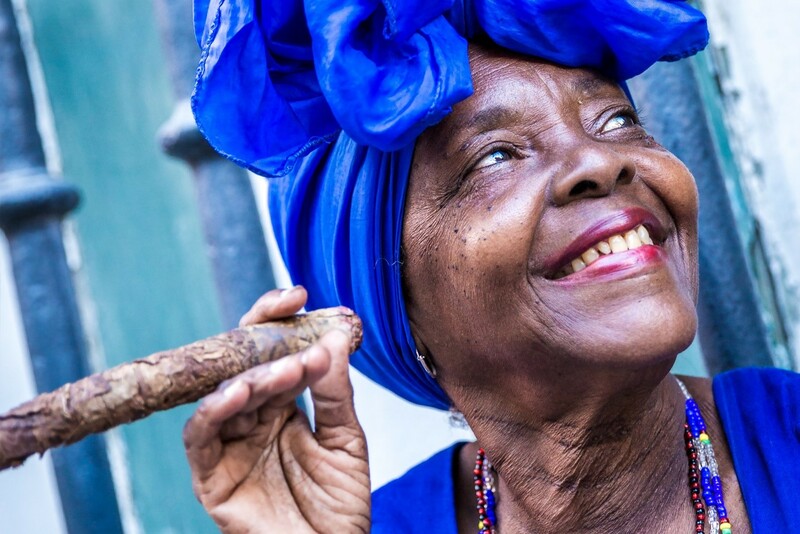 You’ll roam the streets of Havana, Cienfuegos and Trinidad, meet with important community activists, see the buzzing art scene, roll a cigar or two and slow it down with leisurely dinners on warm nights. As an American, travelling to Cuba hasn’t always been possible. But thanks to some significant changes in U.S.Cuban relations, Cuba is now a doable destination. While the relationship between the two countries is certainly warming up, there’s a feeling of urgency to visit this incredible country sooner rather than later. Some say the relations could change and travelling there could be harder in the future. Others say it’s the beginning of a beautiful friendship and there’s just a few years left before foreign investment comes funneling in and Cuba becomes the next Miami and the unique idiosyncrasies of this country become a thing of the past. Either way, now is the time to travel to Cuba to still catch what makes it so special. Commercial airlines including American Airlines and Jet-Blue now fly to Cuba, so it’s now an easy short flight to get there from New York or Miami or any major Hub (it’s just 90 miles from key west!). But, since tourism to Cuba isn’t completely unrestricted, travelling with an organized group will help ensure you meet one of the 12 categories you must fall under to be granted a visa: tours with activities "intended to enhance contact with the Cuban people, support civil society in Cuba, or promote the Cuban people's independence”. In other words, a tour with organized activities around people-to-people encounters is ideal. Gil Travel’s tour meets this requirement we’ll process the tourist visa for you. very basic. This experience is unique to Cuba, and we believe it’s an integral part of interacting with the local community and getting to know this special culture. You’ll spend one night in a Casa Particular – that’s probably enough to get the idea – and the rest of your evenings will be in the comforts of a hotel. 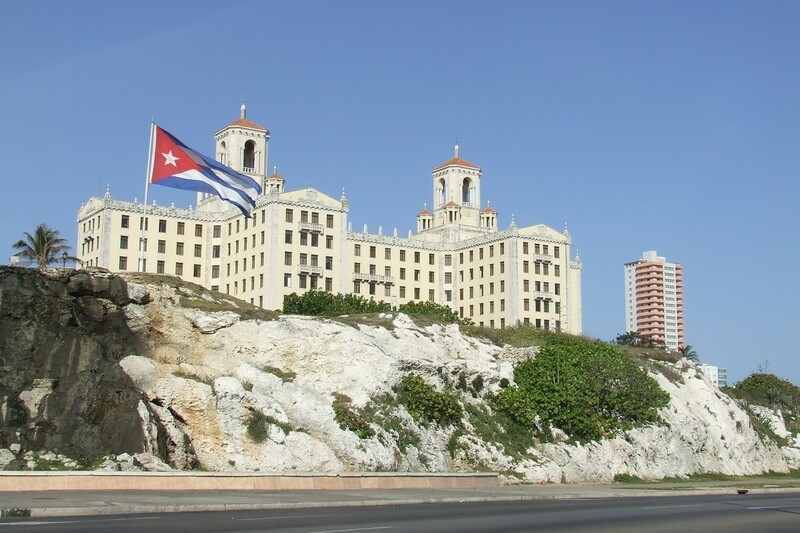 In Havana, the primary areas where hotels have become attractive to visitors is in old Havana, the Vedado section near the Malecon and Miramar. You’ll be staying at Hotel Melia Cohiba, an upscale, modern hotel with amazing views of the city and the sea. It’s important to note that in terms of service, standards in Cuban hotels are not up to international standards. So, when you see 5*s or 4*s, the realistic expectation is to deduct one or two stars. Outside of Havana in places such as Trinidad, Cienfuegos, Santa Clara and Santiago de Cuba, hotel choices and standards are even fewer. But, that's ok. The people, the music and the culture are what will make your trip memorable. Lowering your hotel expectations a bit will be a great way to allow yourself to enjoy your visit to Cuba. 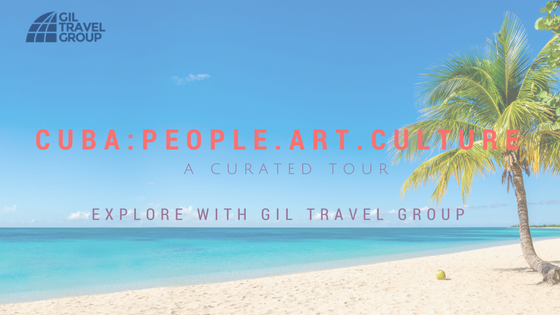 Traveling on this small group tour with the Gil Travel Group means you’re in for a treat. We’ve curated a tour that goes beyond seeing the sites. You’ll have many opportunities to meet Cubans of varying backgrounds, hear about the changes and learn about the life and culture of Cuba. Learn about Cuba’s Santeria religion and see it in action. Visit La Finca Vinga, Ernest Hemingway’s former home and get transported in time as you roam the expansive library it still houses and picture him at his desk writing The Old Man and the Sea. The benefit of travelling on an organized tour is that it will open a window into the interesting behind the scenes world of daily Cuban life. No medical clinic in Cuba will open up their doors and have a doctor and administrator come and talk about Cuba’s medical services for one or two travelers. Nor is it likely that a former Cuban diplomate would happen to stumble upon a couple from the U.S. and then spend forty-five minutes speaking about decades of Cuban American relations…precisely the type of encounters that make small group travel a great way to experience a destination. 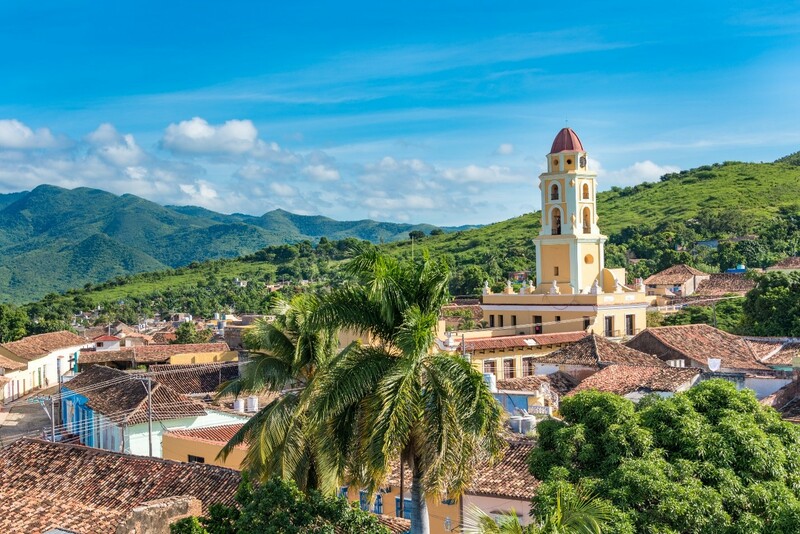 Cuba is an emerging Caribbean hotspot with something for everyone (for more about this special destination, check out our Cuba eBook with all the tips and information you need to know before travelling to this destination). Whether you want to lie on a pristine beach, wander the streets of Havana or take in the views atop Trinidad’s mountain ranges, it’s now possible. If you’re dreaming about exploring Cuba’s weathered villages or cruising down the stunning coastline, why not just hop on a plane to Cuba? But since it’s still a little administratively tricky, an organized tour means you can travel at ease. When you hear about ”group” touring you probably envision a large bus packed with 30-40 senior citizens, getting off to go to tourist oriented restaurants and long lines at bathroom stops. But group travel doesn’t have to be any less sophisticated – especially when you choose a small boutique tour. You can see a detailed itinerary of this special tour here. Feel free to contact us, we’d be happy to tell you more!